Beautiful holiday outfits Lisa!! I love all of the pretty blouses and that green pleated skirt is so fun! Great post idea cause I think we all need ideas for this time of year! This is such a great post filled with so much outfit inspiration! Love it all! The Reds, the greens, oh what cuteness. 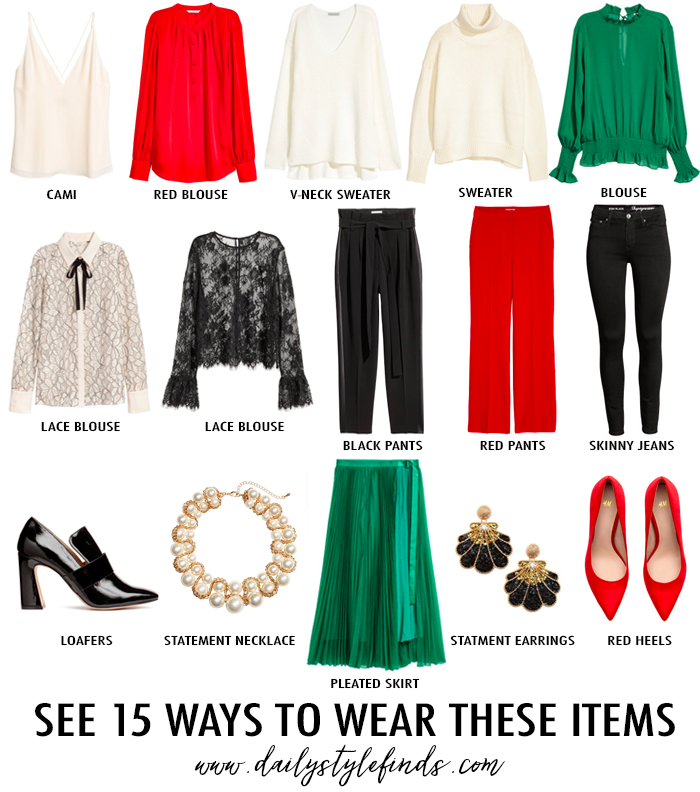 I love these festive colors and way you out these awesome outfits together! 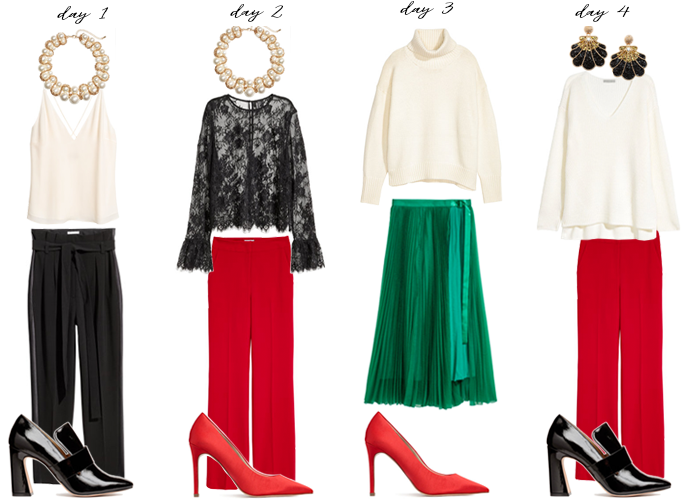 Yes to it all, you put together such a nice Holiday wardrobe capsule :) Love how you can mix and match it all! Love these! I need to get some red in my life! Fabulous outfits, I love all of these items you've picked out! The emerald green blouse and skirt are gorgeous! I have no idea how you create such perfect blog images. But they are certainly stellar! So many great looks to choose from. I think my fav is the green blouse with the black pants/jeans? Day 11. I don't know why but I think of red as the only color for Christmas. Yeah, I don't get out much and live under a rock! Just beautiful, Lisa.